Some of the best bass guitars in the world are made by the manufacturers who also create the finest electric guitars. Others are built by companies who specialize only in gear for bass players. Just like in any other industry, some of these companies are better than others. And, some focus on certain genres or styles of music. If you play bass, or are thinking about it, it's important to know who is who. But figuring it out isn't always easy. You're going to have to do a little research to uncover which companies make exactly what you need for your style and budget. This article can help. In this guide we’ll take a look at some of the best bass guitar brands out there, and what makes them so great. These are companies that have forged their legacies over decades, and sometimes centuries. 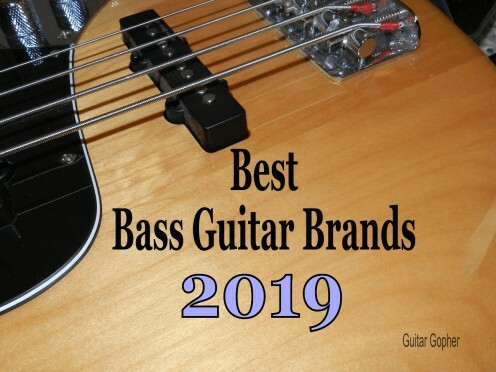 Even if you’re familiar with most of the famous guitar makers, it’s a good bet you haven't heard of some of the top bass companies on the planet. The low-end is a different world, with a different language and a whole new set of players. Otherwise, let's look at the top brands! 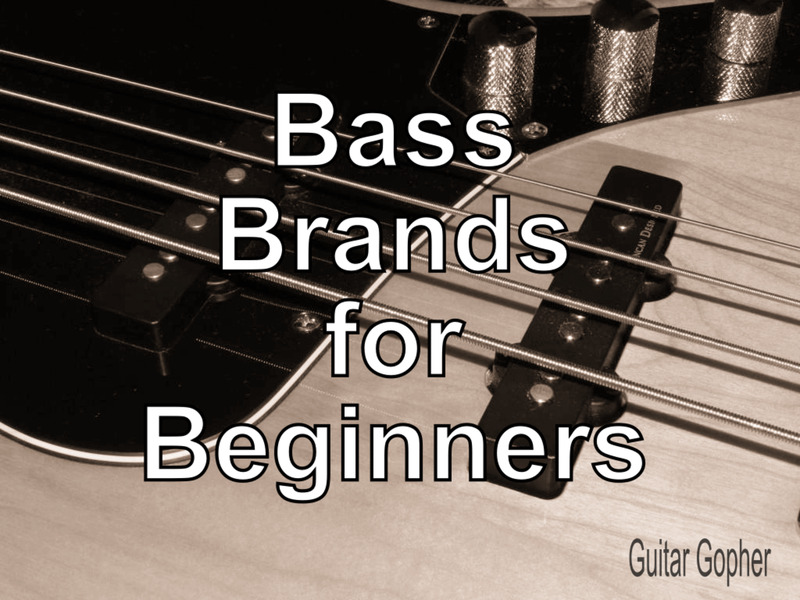 This article is only intended to give you an overview of the different bass guitar brands. However, if I had to put them in order this would be my top 10 list. As always, it is based on my own opinion and experience, and therefore subject to change. List your top 10 brands in the comments below! Read on to learn more about each bass guitar company. Note that the companies aren't listed in the same order as this list. I did this for a couple of reasons. One is because my opinions change from year to year and sometimes from day to day. I didn't want to reorder the whole article every time my list changed. More importantly, not every bassist sees things from the same perspective as I do. A beginner isn't going to be interested in a Warwick, but probably would be interested in a Squier. Therefore I did my best to put the info I thought most relevant to the most people at the top. Good enough? Let's look at some bass gear! We may as well start with one of the most legendary gear makers in the world. Fender bass guitars have been mainstays in just about every genre of music for the past half a century. Fender is generally known for passive, four-string instruments, although they do have some five-string and active instruments in their lineup. Mostly, when you’re thinking of Fender you’re thinking about the Jazz and Precision Bass. Both are high-quality, American-made instruments, and in many ways they have set the bar in the industry over the past 50 years. If you don’t have the cash for an American version, or if you’d just rather ease into the Fender thing, they also have some budget-friendly Player Series” models of the Precision and Jazz that are made in their Mexico facilities. These instruments took the place of the Standard Series, which was beloved by bassists for their value and perfromance. With a few minor upgrade the Player Series looks and sounds even better. They are good enough for gigging and recording, but come in around half the price of their American-made counterparts. The American Original Series of guitars and basses are high-quality instruments with innovative design tweaks and high-performance components. Of course they still maintain that classic look and feel the Fender Jazz and Precision made famous. If you are thinking about a high-level bass the American Original Series is worth a look. Squier is Fender’s little brother, so to speak. They are owned by Fender, and most Squier guitars are low-cost versions of Fender instruments. This means a beginning player can start out with a Fender-style Precision or Jazz Bass at a reasonable price. I always recommend the Squier Affinity Series Jazz Bass for beginners. They are the most affordable Squiers, and they sound great. There are only a handful of high-quality, budget-friendly instruments that I think are smart choices for beginners and this is one of them. But Squier also makes some gear that's good enough for veteran musicians, such as the Classic Vibe and Vintage Modified series, which cost just a bit more and are great values for the money. 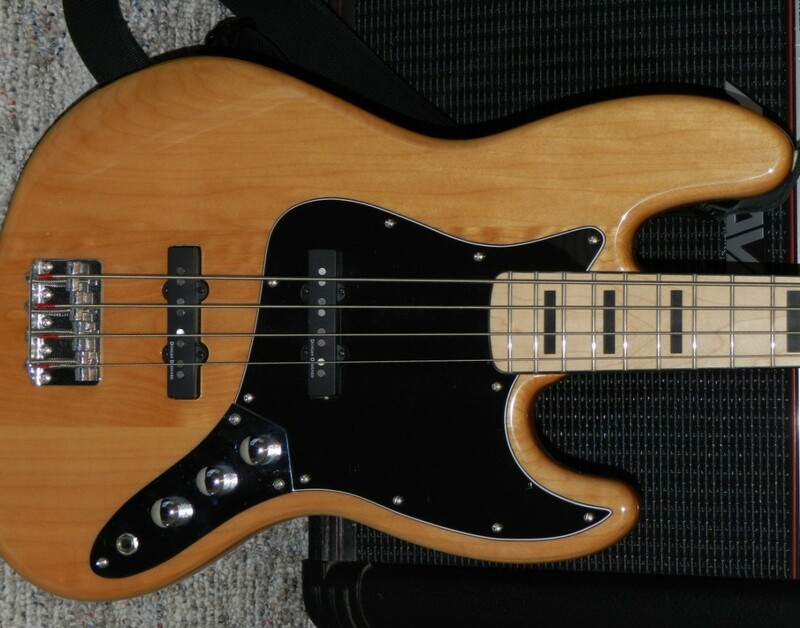 Among my favorite Squier basses, and one I've been playing for a few years now, is the Vintage Modified '70s Jazz Bass. It has a feel and sound of a more expensive instrument, but a price tag that works for beginners. The Squier Vintage Modified Jazz Bass has impressed veteran bassists with its sound and build quality, but this is a guitar that's priced for beginner and intermediate players! Before you think about a Standard Fender Jazz Bass, take a close look at the Squier Vintage Modified Series. Squier has always done a great job of presenting a quality instrument for an affordable price. 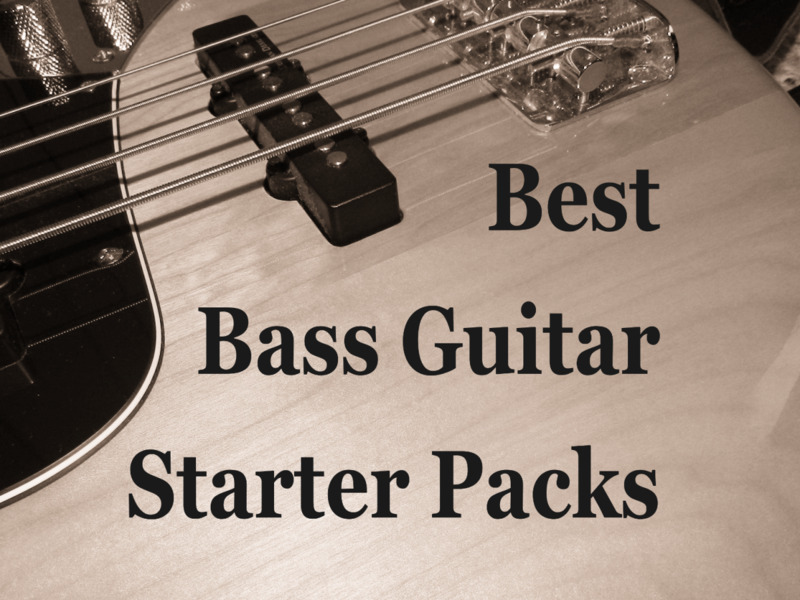 Squier starter packs are available for newbie bassists too, and they include a Squier bass, a Fender amp, and all the other accessories a beginner needs to get started. If you are a bass newbie, or a guitar player looking for an easy and affordable way to start playing bass, a Squier by Fender Starter Pack is hard to beat. Ibanez guitars are loved by metal guys. Their basses have their share of worshippers in the metal crowd too, but their reputation also reaches out into other genres, most notably jazz. Ibanez is a Japanese company that started out decades ago making quality copies of American instruments, but has since evolved into an instrument manufacturer with some great gear under their own brand name. Their Soundgear and BTB lines are known for fast necks and versatile electronics, as well as some truly beautiful woods and finishes. In recent years Ibanez has introduced some serious upgrades to their Soundgear lineup, with innovative electronics, tonewoods, hardware and body styles. I started out playing a Soundgear over 20 years ago, and Ibanez has continually improved in the design since then. Beginners should check out the GSR200. It's one of the best starter bass guitars you are going to find, especially players who are into metal and hard rock. If you are new to this, the GSR200 is a great first instrument. Washburn has been around for over 125 years, and they’ve sure had their ups and downs during that time. In the Washburn bass lineup today you’ll find their high-end Stu Hamm signature model, but Washburn also makes some great intermediate instruments for reasonable prices. The Washburn Taurus series starts with the basic T12 model, and moves up to the higher-quality T24 and T25. Even the T24 can be found for around half a grand, but it looks like a much more expensive instrument. For the bassist on a budget, the Taurus T24 (the T25 is the 5-string version) is definitely worth checking out. Schecter guitars are some of the best deals in the music world. They are also among the top basses for metal and hard rock. You can find appointments in a Schecter instrument that you’d expect to see in an instrument costing hundreds of dollars more. There are many models to choose from, but you may want to start with the Stiletto Series. It’s hard to imagine how Schecter fits features like EMG pickups, active EQs, and a figured maple tops for such a low cost. If the Stiletto design doesn’t do it for you, there are plenty of other Schecter basses that might. I owned a Schecter Stilletto for a while, and it definitely falls into the category of gear I wish I never parted with. Schecter instruments always impress, and the Stiletto bass is no different. The Studio model looks and sounds amazing, and it doesn't hurt that it comes in at a fairly wallet-friendly price. It's a great choice for intermediate to pro-level players. This is a guitar company that continues to impress by presenting amazing gear that seems like it should cost way more than it does. They offer affordable instruments with the sound and quality to succeed onstage or in the studio. Particularly if you are into rock music, Schecter is hard to pass up. Rickenbacker is another example of a company that has shaped the sound of rock music over the decades. Though they are not as numerous or well-known as Fender instruments, Rickenbacker basses have found their way into the hands of musicians like Paul McCartney, Geddy Lee, John Entwistle, and Lemmy Kilmister. The 4003 is their flagship model, an evolution of the original 4001, and features a classic design complete with a chrome-covered bridge pickup. While this bass might not appeal to the younger crowd, most seasoned musicians know that Rickenbackers are tone machines worth every penny of the asking price. Rickenbacker 4000-Series bass guitars are classics, and for many players this is brand that deserves to be at the top of the list. When you hear the name Gibson you probably think of guitars. 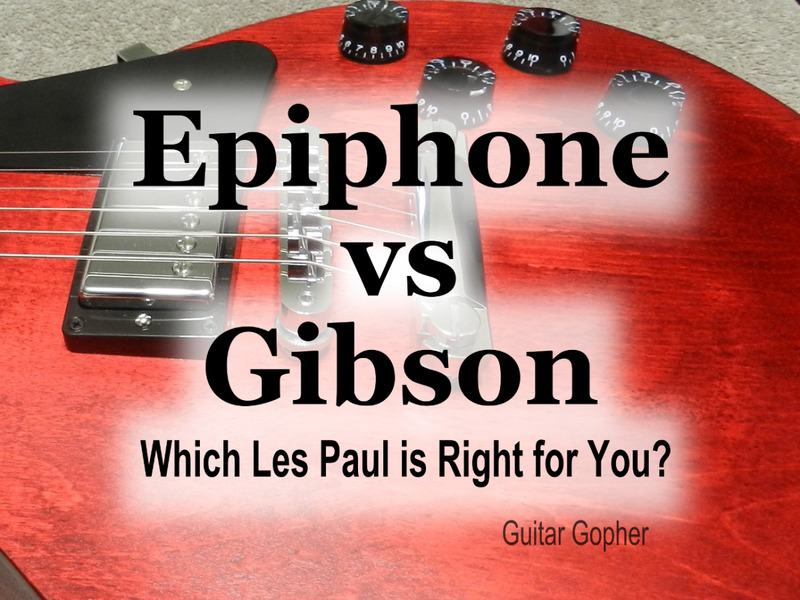 No wonder, as their Les Pauls, Explorers, SGs and Fly Vs are some of the most coveted instruments in the music world. While Gibson isn't quite as popular among low-enders, the basses they make are as incredible as their guitars. The best-known low-ender in the GIbson lineup may be the Thunderbird, employed for years by Nikki Sixx of Motley Crue. It’s a hot-looking instrument, modeled after the Gibson Firebird guitar shape. Yes, they even make a Les Paul bass, with the same mahogany body and maple cap that their guitars are famous for. 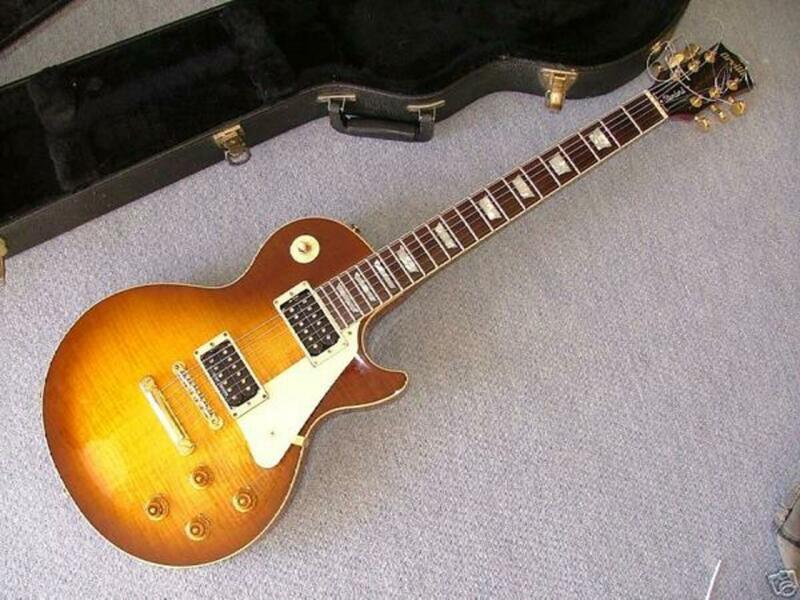 If you have the cash, Gibson might be right up your alley. Warwick is a German company well deserving of being put at the top of any list of top bass guitar builders. Their Corvette, Streamer, and Thumb models, along with the rest of their German-made instruments, are worth the cost if you can swing it. These are incredible instruments featuring exotic tonewoods and gorgeous finishes. Personally, the Warwick Corvette is probably the finest bass I ever owned. If you are serious about your music and you have a few spare coins laying around, I highly recommend it. If cost is an issue, you’ll also find lower-priced Warwicks in their Rockbass line that make it possible for almost anyone to own a real Warwick. Once you play one, you might be hooked on the Warwick growl for the rest of your life! Yamaha makes all kinds of musical gear like guitars, pianos, drums, and even xylophones, but their basses are particularly well-received. They put out some outstanding options for beginners like the RBX170, but don’t think that means they can’t do quality high-end gear as well. Their TRBX basses are comparable with the best in the business, and feature high-end components and building techniques. No matter where you stand as a musician, from newbie just starting out to veteran looking for boutique-quality gear, Yamaha has an instrument that will fit your needs. Only a handful of the manufacturers in this listing can say that. Lakland is an American company, a relative newcomer. But in a short time Lakland basses have gained a tremendous following, and a reputation for outstanding sound and quality. If you’re a fan of the Fender Jazz and Precision or Music Man styles you’ll probably see something you like in the Lakland lineup. Though they’re worth it they are a bit pricey, so for more than ten years now Lakland has been producing its Skyline series of more affordable basses. In the Skyline lineup you’ll see some of the same classic designs as their USA series. Spector is an American company that probably isn’t very well known even to guitar players, but holds an esteemed position in the minds of most bassists. Spectors are loved for their deep, warm, woody tone and beautiful finishes. Musicians in genres as diverse as metal and jazz rely on Spector for their sound. The NS is the classic Spector model, with roots going back several decades. They put out some other high-quality USA-made and Euro models as well. Spector basses can be a little expensive though, so they also feature a new budget-friendly model called the Performer that’s perfect for mid-level musicians. Peavey is a company that does just about everything well when it comes to musical equipment. They make some of the best high-gain guitar amps in the world, and produce loud, bulletproof, reliable bass amps and PA gear. They do bass guitars well too, and these days their offerings are aimed more at working-class and up-and-coming musicians. That’s good, because that’s most of us! Check out the Millennium, Milestone, PDX and Grind series, as well as their starter packs if you happen to be a newbie. Peavey gear is always tough, and always worth the asking price. Music Man basses just have a different vibe than many other instruments. The company is part of Ernie Ball Inc., and their StingRay is their flagship, but other great models include the Sabre, Sterling and super-funky-looking Bongo. Where many basses have single-coil pickups, Music Man stands out for their use of big, fat humbucking pickups. Like on a guitar, these pickups present a beefier tone and help cancel unwanted noise. Some bassists swear by the StingRay and Music Man. Others find it’s not their thing. But pretty much everyone agrees that they are unique, high-quality instruments. Carvin builds high-quality guitars, basses and other musical gear, but you won’t find their instruments at your local music store. Carvin only sells direct to the buyer, and each of their instruments are custom-tailored to the needs and wants of the musician. Like their guitars, Carvin basses are now under the umbrella of the Kiesel brand name. This is actually a return to their roots, not so much a change in the brand. You can still expect the same excellence from Kiesel-branded instruments as always found in Carvin. You might think custom instruments are going to be pretty expensive, but Carvin’s prices are actually quite reasonable. You pick the model of the bass you want, then choose the woods it will be built from and the color and finish, as well as the pickups, electronics options, and hardware. It’s all then custom-built just for you in Carvin’s California factory. Even non-musicians have probably noticed those cool little guitars and basses that look like boxes and have no headstocks. Well, those unique instruments are called Steinbergers. The old L-series Steinbergers were built using synthetic materials, not traditional wood. Today, Steinberger is owed by Gibson. The Synapse is their flagship model at this point in time, and even though it looks similar to the traditional Steinberger design, it uses a combination of graphite and real wood. The Spirit is a similar instrument that can be had for a much lower cost, but still has the same Steinberger look. Some players find a bass they love when they first start out and stick with it for life. Others hunt for that perfect tone for their whole careers. 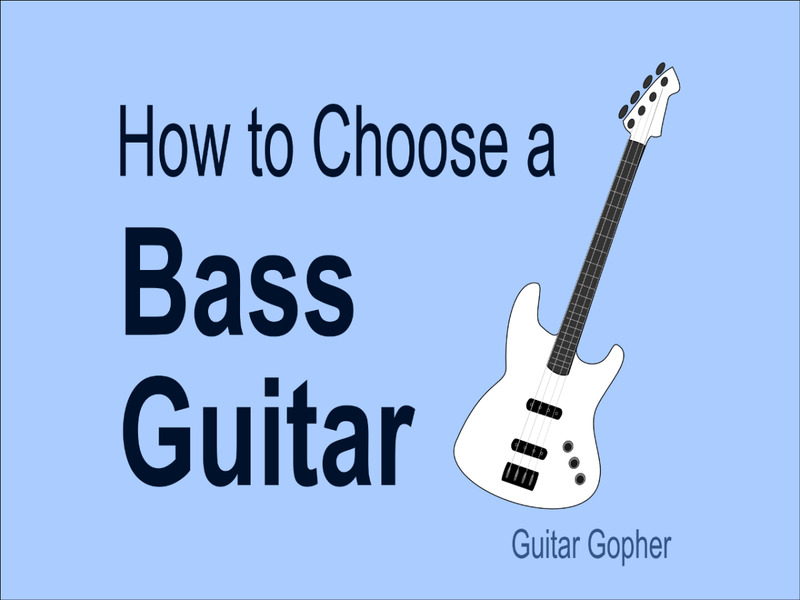 It’s pretty obvious from this article that there are a ton of different basses out there to choose from, so how do you decide which one is right for you? Do the research. There is no substitute for knowledge when it comes to making an informed decision. Learn as much as you can about an instrument before taking the plunge. Think about your goals. A bass with a great reputation may not necessarily be the right one for you. Know what you expect out of your bass before making a purchase. Play and listen. There is no shortcut. Trust your own ears and hands more than what you hear or read from others. And, as you grow as a musician, your tastes will change, and you might find out that the bass you loved yesterday isn’t cutting it today. Thankfully, we have many options, and the best bass guitar brands are constantly pushing the limits of the instrument. What is the best brand of bass guitar for playing blues? For blues, I would look to the Fender Jazz Bass or Precision Bass. The Jazz Bass is a little more versatile as it has two pickups, and you can blend them any way you like. 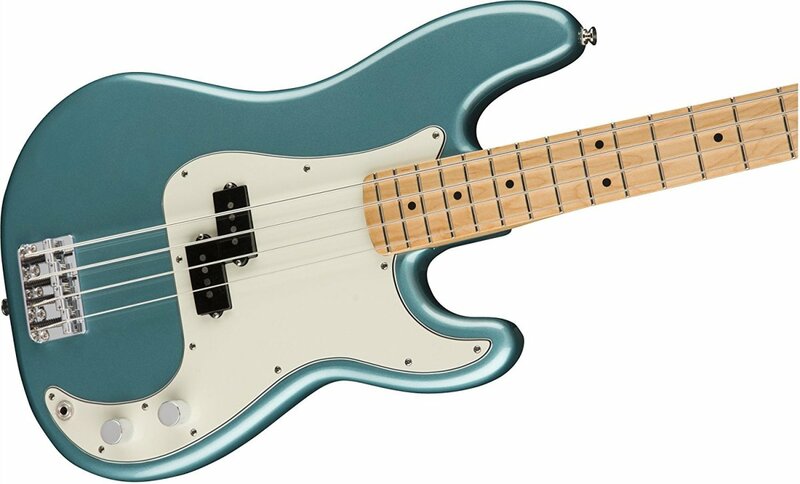 The Precision Bass has a single pickup, and a deep, punchy tone. To me, the Jazz Bass has always sounded a little slicker, and you may prefer it if you intend to play a Texas or Chicago-style blues. I’ve always thought (in this context) the Precision Bass sounds a little more woody and open, and I’d probably prefer it for more traditional Delta blues styles. If a Fender is a little out of your price range, or if you are a beginner, check out Squier. This is a brand owned by Fender, and they make more affordable instruments based on Fender designs. They have Jazz and Precision Basses in their lineups too, and some of them are really good. I have a Squier Vintage Modified Jazz Bass, and it is outstanding, especially for the price. Both the Jazz and Precision Bass have passive pickups, which to me sound a little more organic. If you really want a modern sound, look to a brand like Ibanez. Their SR Series basses offer a huge amount of control via the active onboard preamp, and I’ve always loved their necks. I would especially consider Ibanez if you want an extended-scale five or six-string bass. If you have a little extra money in your pocket and aren’t keen on Fender for whatever reason, check out G&L or Lakland. Both brands have some great instruments based on classic designs, and they are a step off the beaten path for those looking for something different. What about Alembic Basses They Are The ROLLS ROYCE Of BASSES.You forgot about them Huh? @Ron - Feel free to tell us what brands you like. I am always open to suggestions! This list looks like the top 10 'worst' bass brands ! I own a Warwick five string Corvette and a four string Streamer and love them both. I have a couple of Ibanez four strings that give a more mellow sound. However, the have active pickups and drain 9V batteries quickly. The Warwicks have passive pickups, so I can jam for long periods of time without worrying about needing to change batteries. If you have trouble with the size of the instrument you may wish to consider a short-scale bass such as the Squier Bronco. If it is simply a matter of the thickness of the neck, maybe look at a brand such as Ibanez that is known for making basses with very thin necks. Both Ibanez and Squier make really good basses under and around the $200 mark, so if you are new to the instrument I think they are a good place to start. Good luck! What would be the best bass for someone with very tiny hands that don’t fit well around most necks? Have you guys heard of HRT Guitars? Darren Hart creates custom guitars out of woods that I’ve never seen on any stringed instrument with inlaid pearl; Just phenomenal pieces. I think Seth Bolte and Jody Smith are clients. Mr. Hart has mad skills. Y’all should check him out. He used to be based in Vegas but relocated to Nashville. What about PRS Kingfisher, and Kestrel basses guitar; I believe they are great! Thanks so much for your review. I have a 1981 Gibson Victory Artist bass and it is just a great instrument..beautiful tone..the best sustain..superbly made..the machine heads have a tension adjustment so no string slippage ever..always stays in tune..deep lows..crisp highs..great midrange..Tobacco Sunburst color..paid $900 for it in 1981..this will always be my #1..my #2 is an American Fender jazz bass..I did replace the pickups with Seymour Duncan Quarter Pounders and put on a Babicz bridge..and upgraded to a Mother of Pearl Pickguard..(I did keep all the original components that I upgraded / replaced)..this instrument was picked after playing many others..they do all sound different..and none of them sound good at the "C" note on the "G" string up at the top of the neck..great action on this one..really nice tone..fast neck..nice balance on weight..paid $1325 for it in1999..but its not a Gibson..really like the Stuart Spector basses..have heard them..but have never played them..the tone on the youtube video doesnt seem to be that superlative on the spector..the Fender Jazz sounds just as good..neither sound as good as my Gibson bass..am hearing that the new 2017 Gibson EB 4 with the Babicz bridge..Humbuckers..and set neck is a pretty nice instrument..am looking to play one..they havent arrived in music stores in my area yet..love those Gibsons..and they make the best guitars too. @Zack: Thanks for adding your input, and for catching the typo! That's Gibson Thunderbird, btw. Firebird is just the name of the guitar. But again, this setup is definitely not for everyone. It's neck heavy and will be total pain after 2 hours if your'not accustomes to it. Check Out the Cure or the who or ZZ-Top if you want some references. Or 60's garage and Cali rock. @John. Congrats on landing a great bass! I'm big fan of the Ibanez SR Series. I've owned an SR400 and an SR505 and they were both outstanding instruments, especially for the money. I've owned most of the bass brands listed in this article at one time or another in my 40+ bass career; Up until last week my main bass has bee a Fender USA P Bass with SD 1/4lb. pick-ups....I went to an old time music store that is going OOB looking for some speaker cords and other accessories cheap.Asa I entered the store I noticed a brand new beautiful Surf Blue Ibanez SR300E. The minute I felt the light weight, the incredible fast neck and the power and tone I was hooked. I paid just a little more than half price with a hard-shell case and set of my favorite D’Adarrio Chromes flats. Looks like I’ll be selling one of my other basses, probably my Fender Cowpoke, a rare and beautiful bass. These days I need a lightweight bass with a fast neck to keep me thump’in !!! Thanks, Guitar Gopher. Please understand, I'm not saying Fender or Artisan Bass don't have excellent products. I believe they both do, but of course we don't live in a perfect world. I will ship my Deluxe Jazz back to the States for repair (I'm overseas), and Artisan Bass Shop has offered to repair the custom model, free of charge (bless them!). Until then, I'm using my newly purchased Fender Japan Standard Jazz Bass (made in Japan). It costs less than $600, a third of the price of either other bass. The Japanese dealer shipped it free of charge to the Middle East country I'm in. It sounds and feels great, and it still works (knock on wood). Thanks for your input, Jacques. Good advice! Sorry about the Fender Deluxe Jazz. On January 22, 2016, I purchased a Fender American Deluxe Jazz Bass. The electronics (passive and active pickup system) have permanently failed (no its not the batteries). It was supposed to replace a custom bass I had purchased from Artisan Bass Shop. That bass had also stopped working after several days. 1. The best basses are the ones you go into the shop and try out in-person. 2. After perusing many blogs, I have discovered that so-called "high-quality" instruments have quality control problems, such as resident 'hum' (electrical noise) and the problems I have experienced (lemons). 3. Alembic might make the highest-quality bass, and it might be more cost-effective to invest in a costlier-but-more-reliable instrument. In conclusion, I believe what is the 'best' in terms of musical instruments is, to a large extent, based on personal preferences. Opinions and advice from experienced musicians and technical "experts" are fine, even useful, but patience, caution, and hands-on playing will get you a better instrument any day. How does gibson make nice basses? Gibson's basses are seriously horrible. What ... where's Fodera, Wyn, Tobias, Traben, Wishbass, etc.? What happened to Hofner? violin bass and Verythin Bass are twoo of the best basses made! Thanks leoban-gray. Good luck on the search for your new bass. As I'm sure you know, there are a whole bunch of great options out there! I play a Washburn, and am considering a new one. I have played bass for over 15 years. Very informative hub!